Lead & Nickel Free!! 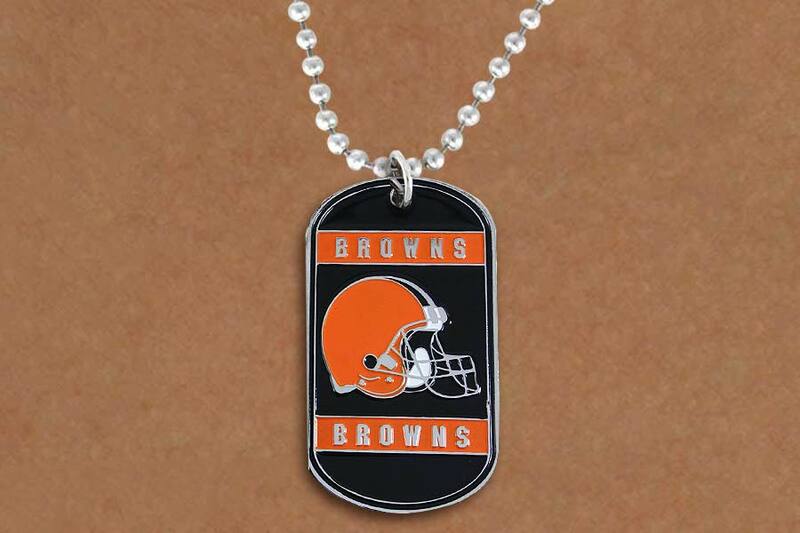 Officially Licensed National Football League (NFL) Logo Dog Tag Pendants! Ball Chain Necklace Suspends A Cleveland Browns Logo Pendant. High Polished, Fully Engravable, Large Area On The Back Of The Dog Tag. Great For Gift Giving, Engrave The Date, A Name, A Message To Someone You Care About! Necklace Measures: 36" Long. Dog Tag Measures 2 1/4".